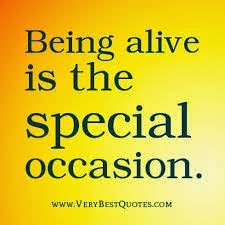 Life has no meaning: Just enjoy being alive! Nobody has any answers to Life. Life itself offers no explanations, no justifications, no reasons, no meanings. It just spews out experience after experience; that which deliver lesson after lesson! The best way to live Life is therefore to not stop asking questions, but to stop looking for answers or for meaning. Each individual must glean learnings from Life through personal experiences. That really is the beauty of Life. Among the zillion and more questions that have no answers, a simple one that really begs understanding is why this Life in the first place? So, enjoy the undiluted poetry of Life in the emptiness of your soul. Stop searching for answers and meanings in Life. Start living. Simply. Author AVIS ViswanathanPosted on June 17, 2014 March 14, 2016 Categories Art of Living, Being Alive, Come Alive, Inner Peace, Intelligent Living, Meaning of Life, OshoLeave a comment on Life has no meaning: Just enjoy being alive! If you begin to understand what Life is all about chances are you will question its very idea. Because you will be appalled at its meaninglessness. For sure Life is a journey between birth and death. You come with nothing and will go with nothing. So, isn’t it meaningless? Then what’s the point in being born? What’s the point in living, in working harder and harder, struggling to earn a living, raise a family and deal with all the ups and downs of Life? This is a pure human conundrum. No other aspect of creation has this ability to think and question. Only humans have this ability – which is also why only humans suffer. If you watch other species they are ‘content’ eating, growing, procreating and dying. They don’t resist Life. They don’t question. But because the human being has a mind, the mind raises these ‘pertinent, relevant’ questions. Which truly are unanswerable. And since they cannot be answered, the seeker is disillusioned and, often, depressed, restless or confounded. But there’s a different way to look at Life. Which is not to look at it from a What’s-In-It-For-Me point of view but to see it from a How-Can-I-Create-Value point of view. Which is to live and work in such a manner that you leave the world, after you are gone, much better than when you found it. Surely, you know that you will not be around forever. You will not be able to even take any of what you created in your lifetime with you. But you do have the opportunity to leave behind a lot – your thinking, your legacy and your imprint on the world. When trying to understand Life, understand this opportunity too. Then, and only then, will you “wake up” and stop trying to find meaning in Life. 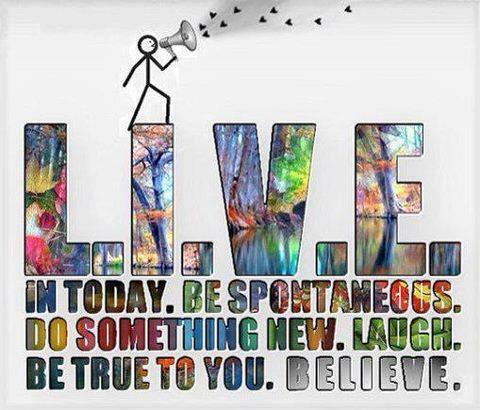 Instead you will, despite Life’s evident meaninglessness, work towards making your Life meaningful! 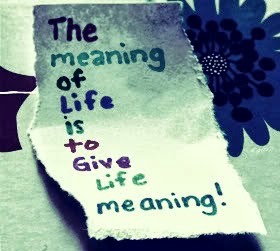 To live a Life of meaning, you must first understand the meaning of Life. And the truth is, in reality, Life has no meaning. Think about it – what kind of a meaning does Life offer when you are born, without choice, empty-handed and you have to die, again empty-handed; even all the experiences that you have during a lifetime and the learnings, they would seem futile because no one knows if there is an afterlife and if you will even remember any of these in that Life!!! So, the whole Life experience is meaningless at one level. But there’s every opportunity to create your own meaning in Life. To do that, though, you must participate in and with Life. Most people find their lives listless, meaningless, because they are passive. They are lost in earning-a-living, as opposed to living. Earning-a-living is but one aspect of Life. But if you get obsessed with that one single aspect then you lose yourself to its trappings – worry, anxiety, fear, insecurity, sorrow, grief, anger, jealousy, hatred! Then you are not living. You are merely existing. To participate in Life, be with it in each moment! Whatever Life throws at you, be with it. Don’t be lost in your idea of Life. You will never find it. Because Life conforms to no (one’s) fixed idea. When you say and expect that Life has to be this way only – you have surely consigned your lifetime to misery and suffering. Because Life’s not going to oblige. Instead be open to receiving anything in Life, from Life, in totality, fully. Let your energy flow into Life’s every moment. Something makes you exult, rejoice over it. Something makes you sad, grieve over it. Whatever makes you offer yourself fully to Life, as it is happening to you in a given moment, do it. Don’t stick to one idea of Life, else you will get stuck in a rut! There’s this beautiful story of the Hassidic Master Baal Shem. It was a holiday and several of the Master’s faithful followers had gathered for a communion. The father said, “Absolutely not – where is your whistle?” Because the father was afraid that the boy may not even listen to his “no”. The boy pointed to his trouser pocket, that revealed the bulge of the whistle and the father kept his hand on the son’s pocket to ensure that the boy does not get adventurous. There’s a huge learning here for each one of us. Are you living spontaneously like that boy? Or are you trapped in your own rituals – even if you are subconsciously? Do you feel like doing something else – like dancing or singing or blowing a whistle – but restrain yourself because you think you have ‘outgrown’ that stage or think it to be ‘inappropriate’ to do such a thing? Why not abandon all fixed notions and ideas you have of Life and stop searching for meaning in Life? Instead simply let go and create your own meaning of Life! And if that requires you to blow your whistle, whenever you feel like it, you possibly simply MUST!